Cheltenham Festivals Reading Teachers = Reading Pupils programme – a network of free teachers' reading groups - is to be rolled out nationally in a partnership with the Centre for Literacy in Primary Education, Just Imagine, Peters and Seven Stories and The National Centre for Children's Books. Reading Teachers = Reading Pupils aims to ignite a love of books and reading in children by giving their teachers the time, space and inspiration to engage (or re-engage) with children's books. The number of participating schools in Gloucestershire has doubled since the project was launched three years ago. As a result of this new partnership, Reading Teachers = Reading Pupils is set to reach an estimated 3,600 children per year. 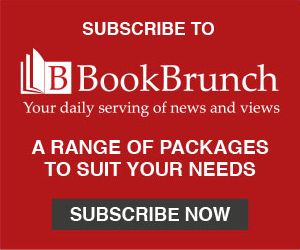 Ali Mawle, education director at Cheltenham Festivals said, speaking at LBF: "We know that reading for pleasure is the single biggest indicator of a child's future success. 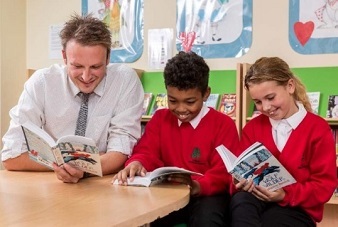 Through our work with over 70 primary schools in Gloucestershire we are seeing firsthand the incredible impact Reading Teachers = Reading Pupils is having, not just in individual classrooms but throughout the school. We are delighted to work with CLPE, Just Imagine, Peters and Seven Stories who share our belief in the power of books to further well-being and social opportunity." The scheme has the support of Michael Morpurgo, who said: "Teachers are the key to so much in a child's future, we know that, but it needs saying again, loud and clear. For so many of us that first spark that brought us to a love of books and reading came from a teacher. This is a great idea." The programme will be available in July, with strategic partners and facilitators being recruited in May. Reading Teachers = Reading Pupils is supported by the Thirty Percy Foundation, The Summerfield Charitable Trust and The Unwin Charitable Trust.